Street Fighter V: Arcade Edition is going with the flow as the excitements of the upcoming holiday. 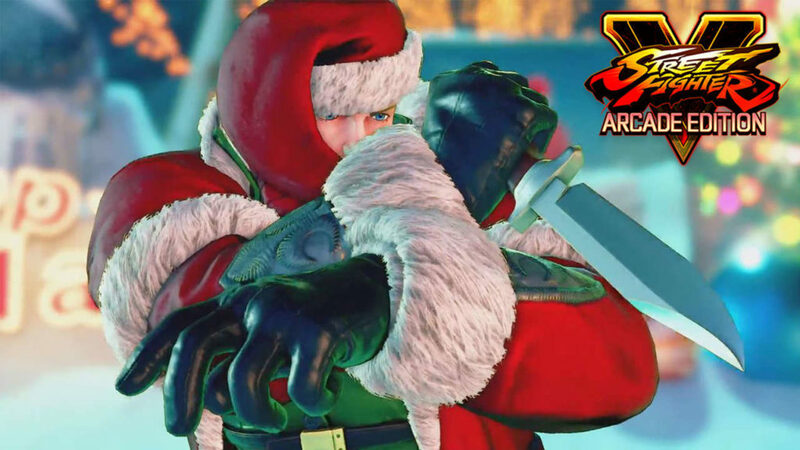 Yes, the holiday season is coming, regarding that, Street Fighter V: Arcade Edition is coming with a cool addition. With customized the characters on the game having charming and awesome holiday-themed costumes. For a full Santa Claus suit has been rewards to Cody, he looks charming along with the short grey facial hair. For newcomer Falke, we will see her wearing a long red winter coat edged with white fur, plus a green belt on her waist. Added with some cool weapons, such as striped candy cane and a mistletoe attached to her hat. Blanka, as we all know, he has used to with strangers costumes. In this edition, this electrifying Brazilian monster transferred to an amusing reindeer onesie topped with a tiny Santa hat. We can see how his arms loaded out of the sleeves, with his long hair flows out of the back of the headpiece. Last but not least, for Sakura, her costume comes out of the line from the others. With a dark color scheme, we will see her wearing a short black skirt and a lingerie-style top. Added with reindeer antlers as a crown, along with long dark gloves and tight-high stockings. Curious to see? 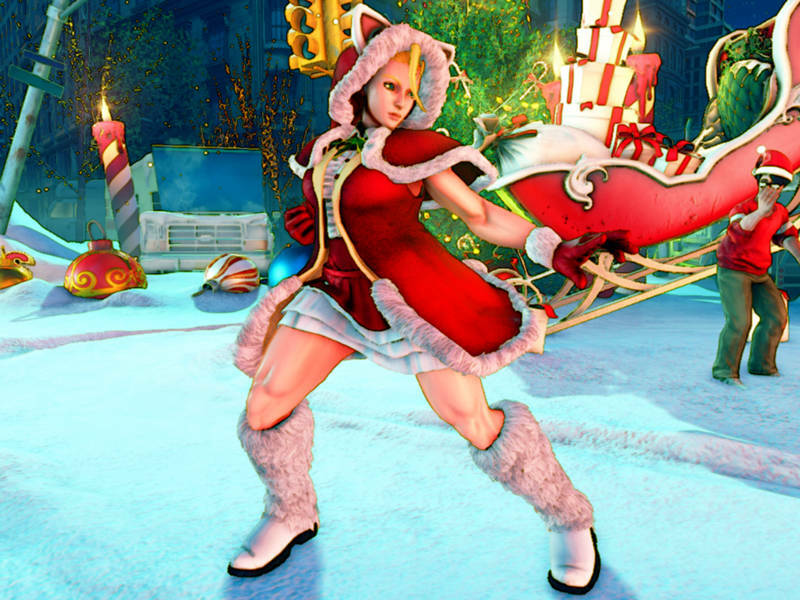 Well, we should wait for sometime, as mentioned that Street Fighter V: Arcade Edition-Holiday Costumeswill be delivered to the public on November, 27. 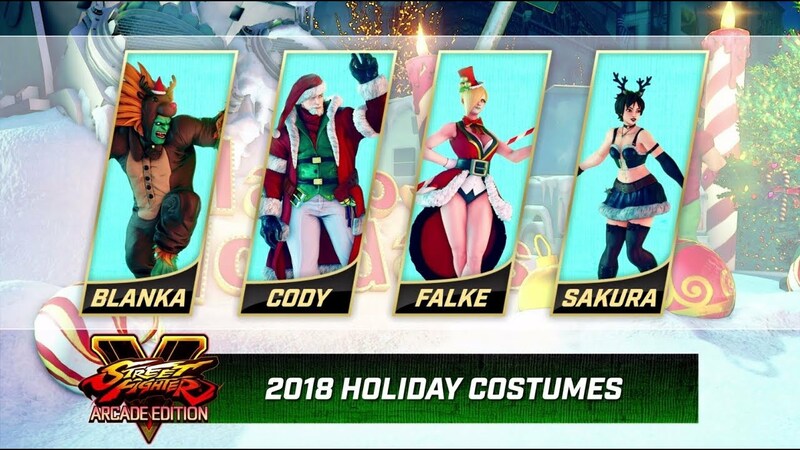 But for lessening your curiosity, you can watch the trailer for Street Fighter V: Arcade Edition-Holiday Costumes below.